Cut Maize - An alternative feed to wheat. A family run business established over 30 years ago and handed down through the generations. 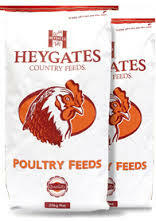 We stock a wide variety of animal feeds, for large and small animals, domestic and commercial. Phil Cooper, proprietor, began work for the business as a young man and has built the business over the years according to the needs of it's customers.